Seantrel Henderson of Miami (Fla.) also plays offensive tackle. A celebrated prep recruit, he didn't have a celebrated collegiate career. At Cretin-Derham Hall High School in St. Paul, Minn., Henderson was named the 2009 USA Today High School Offensive Player of the Year, the first lineman to win the award. The Football Writers Association of America selected Henderson as a freshman All-American in 2010. In 2011, he started just two games after undergoing offseason back surgery. In 2012, Henderson missed practice times and a game because of a suspension and a concussion suffered in a traffic accident. 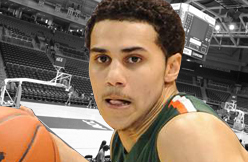 He started seven games and was still an honorable mention All-ACC choice. He was an honorable mention All-ACC selection again as a senior, even though he was limited to eight starts, again missing one game because of a suspension. "Another player to keep an eye on is Seantrel Henderson from Miami," Phil Savage, the executive director of the Senior Bowl said. "He was the No. 1 recruit in the nation, committed to (Southern Cal) but ended up in Miami. He had some issues there during his career. This guy's a card-carrying giant. He's 6-8, 350 pounds. I talked to (Miami coach) Al Golden, and Al assured me -- he said, 'Look, this kid is in the best place he's ever been. He's playing the best football of his life, and he is legit NFL.' I think he could benefit in a big way from being here this week." Stephen Morris a Franchise QB? Quarterback is one of the hardest things for any individual to predict. Me and the rest of the coaching staff at the Panthers organization spent months looking at Cam Newton, and we were still unsure of exactly what we had, but we took a risk and now Newton is the face of Carolina and on his way to a great NFL career. My point is that no quarterback is easy to scout and no one truly knows how the individual player will react to the speed of the NFL. You, of course, have to look at things like arm strength, accuracy, pocket awareness, ability to read plays, footwork, leadership, ability to stretch the pocket, and throw on the run. Every year analysts and fans try to find the next Tom Brady or Tony Romo in a draft. More years than not there is not a late round quarterback that comes out and becomes the face of a franchise. It is a very rare event, and even if there is a late round quarterback they are very hard to predict. Well I would like to make a bold statement- Miami quarterback Stephen Morris could become the face of a franchise. 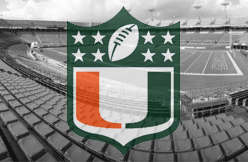 I will start off with why Stephen Morris is being ranked so low on draft boards currently. Morris' numbers from his junior year to his senior year went down slightly. He threw for less yards and his completion percentage went from 58% to 57%. He threw for the same amount of touchdowns (21) but threw more interceptions, from 7 to 12. The interceptions can be attributed to Morris taking more shots down the field than in his previous years in what seemed to be attempts to make big plays that were not there. While his numbers looked a bit worse, all of his passer ratings went up which is probably due to the fact that he had a lot less passing attempts then his junior year. Regression is a major problem for a quarterback, but in the case of Morris, it can somewhat be explained. As I stated above he seemed to take more risks that were not needed, but he also lost his star running back Mike James to the NFL. That puts a lot more pressure on any quarterback and can make him start forcing passes. Let me explain why the issues I listed above are nothing that concern me with Morris- Watching him play, I saw that his pocket awareness does clearly need work but his footwork is good. He can read plays very quickly and find open receivers at a fast rate. A quarterback can be taught to stop forcing the ball, but it is something that requires actual game time and more than just practice and telling him constantly; he needs a coach that will preach to him that he just needs to find the open receiver. His arm strength is above average and he throws the ball down field with ease. His accuracy, in my opinion, is actually stellar, even on the run. He can make every throw whether it be short, medium, or deep. The problem is on deep balls he does not look the defender off and throws it deep too often, taking too many risks. The fact that he is not afraid to take risks in an advantage, but he must get better at understanding the best time to take risks. All of Stephen Morris' problems are ones that are fixed overtime- with maturity, but what you cannot teach, strength, accuracy, quick read, and IQ are at an elite level in my opinion. I went to Miami last year to scout some of their talent coming out, and I talked to some Miami staff members who said Morris is incredibly intelligent and easy to coach. So he is going to fall to the late rounds for his "regression", his decision making, and his size. All three of these issues do not worry me; regression can be caused by so many surrounding elements, the decision making can be taught because he is smarter than his play this year, and he is bigger than some other players at quarterback. He is also very good at avoiding big hits when he scrambles. If Titans fans want to give Locker more time and draft a late round quarterback to simply compete, Morris is the best prospect in my opinion. Stephen Morris will not come in immediately and start for any team, but he is a guy that could possibly break out in his second or third year after his decision making improves. His abilities are on elite levels, and I think the outcome of his development can lead to a franchise quarterback. I hope you all watch Morris in the January 18th East-West Shrine game as I will. 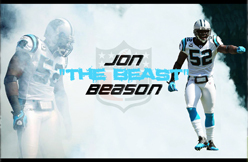 What will it cost to keep Jon Beason? Mel Kiper Jr.'s first mock draft of 2014 came out Wednesday, and I wrote this post on my feelings about his projection of Alabama linebacker C.J. 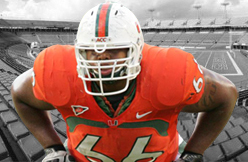 Mosley to the New York Giants at No. 12 in the first round. I don't think there's a chance they take a linebacker in the first round, but if there is, it would only be because they didn't re-sign Jon Beason, who played very well at middle linebacker for them after they acquired him from Carolina for a seventh-round pick at the end of September. A team that doesn't like to use its high-end resources on the linebacker position isn't going to spend free-agent money and a first-round pick on the position this year. They'll probably spend neither, but certainly not both. But what about Beason specifically? What if they decide that what he brought to the position was worth a new contract? He's said he'd like to return, but he's an unrestricted free agent, so it's obviously going to be about price. Beason made $3.25 million in 2013 and will justifiably believe he deserves a raise. The inside linebacker contracts at which he and his agent will look for comparisons are those of Detroit's Stephen Tulloch (five years, $25.5 million, $11.25 million guranteed) and Baltimore's Elvis Dumervil (five years, $26 million, $8.25 million guaranteed). Beason just turned 29 on Tuesday, so a long-term deal isn't a crazy idea for him to have. But given his injury history, it's going to be hard for the Giants to commit too much in terms of contract length or guaranteed money. The Giants signed Michael Boley to a five-year, $25 million contract in 2009, when he was 26 years old. They gave Antonio Pierce a six-year, $26 million contract in 2005, when he was 26 years old. So there's some precedent for them signing linebackers long-term, though those two most recent examples were significantly younger than Beason is now. And in recent years, the Giants have valued the linebacker position even less, due to the fact that they spend so much time in nickel defenses with only two linebackers on the field. So my guess is that, if Beason wants to stay in New York, he shouldn't expect much more than about $4 million per year on a long-term deal. It's possible the Giants would be amenable to a deal with a lower guarantee or some incentives, but if Beason thinks he can find something closer to Tulloch range on the open market, he'll play somewhere else in 2014. At his age and coming off a strong season, he's likely looking to get as much as he can on this contract, and when players do that, the Giants tend to let them walk. My prediction is that Beason prices himself out of the Giants' range and that they end up patching things together at linebacker the way they have basically since Pierce left. And no, I don't think they'll use a first-round pick on the position, whether Beason is back or not. How much is too much for Jimmy Graham? Now that the Saints are facing the offseason here are my thoughts on the two biggest issues facing Sean Payton and Mickey Loomis. For the record, these two issues are way easier to deal with than the 2012 offseason. Remember when we were wondering who would coach the Saints? Would it be Aaron Kromer, Joe Vitt, Bill Parcells or mystery guy? Bad times. This is way better to talk about. The Saints have some tough decisions to make this offseason and it starts with what to do about Jimmy Graham. He is the best tight end in football and losing great players doesn't get you closer to the Super Bowl. While some fans might scream Graham not playing well in the post-season proves he's not worth paying huge money, I've learned in life it's best not to make huge decisions off a small sample size. The Baltimore Ravens paid Joe Flacco like he was an elite quarterback after he played four great playoff games and won a Super Bowl. By next December, they'll be regretting it. His poor playoff games will have no bearing on his contract. The question with Graham is where is the line where his salary becomes too big? Graham's negotiations are different from Drew Brees' in 2012 because with Brees I knew there was ZERO chance he would be playing anywhere but New Orleans. The Saints weren't letting an elite quarterback leave. Period. End of discussion. In the NFL today, if you know or even think you have an elite quarterback you cling to them like a life raft in the ocean, so the Saints haggled with Brees until the last possible second and then signed the deal. The big question to me is what if a team swoops in and wants to sign Graham and work out a trade for less than the two first-round picks the Saints would get if Graham leaves under the franchise tag? The Saints won a Super Bowl without Jimmy Graham and as great as he is I'm leery of giving him $11 million a year. Graham has had significant injuries in three of his four seasons. He did fight through a foot injury this year, but he's not less likely to get injured as he gets older. If the Saints are stuck paying an injured tight end $11 million in 2015, it's a nightmare cap situation. In my opinion, it might be the toughest call Mickey Loomis has had to make on a Saints player since he has been Saints GM. The contract the Saints give Graham and his performance going forward will be a huge factor in if the Saints win another Super Bowl. The only thing worse cap wise than giving huge money to bad players is giving huge money to injured ones. You might be screaming, "Hey Ralph, Brees was an injury risk too." Indeed he was in 2006, but the Saints protected themselves and for Brees' second contract Brees had proven he was a safe bet as far as injury worries. With Graham I'm about 80 percent sure he'll be on the team in 2014. but it's not 100 percent. He will probably fight with the Saints over if he should be franchise tagged as a tight end or a wide receiver. He'll want the receiver tag because it means about 4 million more in guaranteed salary for the season. I expect to read on Pro Football Talk about how frustrated Graham is about his contract 45 times before May. 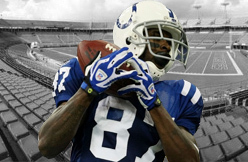 When does Reggie Wayne Expect to Start Running Again? INDIANAPOLIS— It’s an anniversary that Reggie Wayne doesn’t want to be celebrating but he knows brighter days are ahead. A week from Saturday will mark three months since Wayne had surgery for his torn ACL. Wayne is looking forward to Jan. 25, as it will be the next phase in his rehab process. “I’m going to do straight ahead running (then),” Wayne said on his weekly radio show on WNDE. Through the early phases of Wayne’s rehab, the 13-year veteran says that he’s “ahead of schedule”. Head coach Chuck Pagano has echoed the same sentiments. In the day following Wayne’s season-ending injury, Pagano addressed the media in saying there was no doubt in his mind that No. 87 would return to his old form. “There was not a breath, anything, in my mind that said this is it,” Wayne said of his feelings when he went down. “I feel like I still have something left to offer. I just felt like this was maybe an opportunity for my body to heal, just a weird way of doing it. In no way did I feel like this was my last hurrah." A younger Wayne would have been fuming while reading such statements but at the age of 35, he has bigger reasons to prove people wrong. “I’m already self motivated. I have my family, my kids, who I just want to really show them that whenever adversity hits, if you put hard work into it, things will get back to the way it used to be, or things can get better,” he said. Wayne is entering his 14th NFL offseason and one unlike any other he has had to encounter. The Colts training room has been a frequent home for Wayne the past few months. In order for Wayne to return to the form that puts up him in the discussion for Canton, it’s going to a busier than normal offseason. “I’m all about rehab,” Wayne said about the upcoming months. U.S. bobsledder Lauryn Williams envisioned potential problems. A two-time Olympic track and field medalist, including gold at the 2012 London Games, gives bobsled a try in an Olympic season competing with other athletes who have given years of their lives to an unheralded pursuit. Yeah, there could be issues. "I had prepared for the worst – hearing some of things that had taken place in the past and nine women together. I've worked with women in the past. I was a little bit nervous about it initially," Williams said. "I can see how it can be messy." But it never turned ugly, Williams said. "You have to have really good character. That's what I've learned," Williams said. "We're really fortunate we have girls who are here for the greater good. From the very first day, everyone took me under their wing and showed me this would be a positive environment. "As long as you have positive energy, they have plenty of positive energy to reciprocate. They're willing to help any way they can. "It's not really something you're doing for the fame or the fortune. It's pretty blue collar in that respect. People who are here really love the sport, and they want to grow the sport. That's the reason they're able to put the competitive nature of our relationship aside and be good mentors to me." That help along with Williams' rapid grasp of the sport has given her a chance to make the U.S. women's bobsled team as a brakeman/push athlete for the Sochi Olympics in February. With her strength and speed, she is a natural. The question now: In a deep, competitive field of push athletes, which includes fellow U.S. track star Lolo Jones, will Williams make the team? Brakemen Katie Eberling, Aja Evans, Williams and Jones have all won medals this season and Emily Azevedo has finished fourth three times. Williams, 30, is expected to find out Sunday when the team is announced after a World Cup race in Igles, Austria. Williams is scheduled to race with pilot Jamie Greubel. Jones will race with pilot Jazmine Fenlator and Evans is paired with pilot Elana Meyers. In the three World Cup events she has raced in this season, Williams took silver with Fenlator in Park City, silver with Meyers in Lake Placid and ninth with Fenlator in Winterberg, Germany. Her start times – the beginning of the race where athletes push the bobsled before hopping in – have been comparable and sometimes better than other U.S. brakemen. The U.S. will field a great team of push athletes, but talented brakeman will be left off the team, disappointed. "I don't know if my number's going to be called," Williams said. "I've definitely enjoyed the journey. It's been awesome already and I've enjoyed every moment. I came in with the attitude of how can I be helpful to the team. How can I make this a good experience for everyone whether I'm going to be on the Olympic team or not?" Williams' first run down a track in a bobsled came in July. "I remember swearing and praying. … This is a roller coaster without a seat belt," she said. Now? "It's not quite the same feeling." Williams doesn't know if she will continue with bobsled after this season. She saw a window to give it a try. "I got into it at a convenient time," she said. "It was an Olympic year and I could go for it and be done. But I'm already getting pretty attached to the girls, and they're definitely talking about next year and the years to come. They're talking about driving school. "I'm 10 years into elite sports so I don't know if I have the same window as everyone else." A lawsuit against Milwaukee Brewers outfielder Ryan Braun survived largely intact Wednesday when a Wisconsin judge said a former Braun associate may proceed with accusations of defamation, infliction of emotional distress and fraud. Braun and his agents, Creative Artists Agency, had moved to dismiss the lawsuit filed in July by longtime Braun friend Ralph Sasson, 29, a law student. Milwaukee County Circuit Court Judge Paul R. Van Grunsven dismissed seven of the 12 counts but let stand Sasson's charges relating to defamation and libel, negligent infliction of emotional distress and fraudulent misrepresentation. Braun, a former National League MVP, served a 65-game suspension for violating baseball's drug policy last season after he was connected to Biogenesis clinic founder Tony Bosch. Sasson said he was contacted by Braun's agent, Nez Balelo, in November 2011 after Braun was notified that he had tested positive for elevated levels of testosterone. Part of his assignment, he said, was to conduct research on the man who collected Braun's urine sample, Dino Laurenzi Jr., to whom Braun later apologized. Sasson accused Braun of violating a confidentiality agreement they signed after Sasson assisted with Braun's successful appeal of a positive steroid test in 2011. Sasson said Braun defamed him to mutual acquaintances, thus violating the agreement and causing emotional distress. Reached Thursday, Sasson, who is representing himself, said he does not intend to settle the case. In a statement, he said, "While I am pleased with yesterday's outcome, it is merely a first step in the long and arduous process of holding Ryan Braun, Nez Balelo and Creative Artists Agency accountable for their fraudulent actions and flagrant misconduct. As such, my primary goal at this juncture is to avoid any procedural missteps and take this matter to trial." A spokesman for Braun did not immediately return a request for comment Thursday. If Greg Olsen did not play in the same division as Atlanta's Tony Gonzalez and New Orleans' Jimmy Graham, he would receive more attention. He should anyway. Olsen delivered a career-best and team-best 73 catches for 816 yards and six touchdowns. SANTA CLARA, Calif. (AP) -- Frank Gore zig-zags his way for important gains up the middle, or to break a big run outside on the edge. At this stage of his career, San Francisco's veteran running back is still among the best in the game at seeing holes in an opposing defense before they actually appear. And you can bet Gore gets a thrill out of surprising opponents who figure he might have lost a step now that he's 30. Just like most of his teammates, Gore would like to make a statement at Seattle in Sunday's NFC championship game as the 49ers (14-4) try to return to the Super Bowl despite lopsided losses in their last two road games against their NFC West nemesis. Establishing the running game from the start against a talented and physical Seattle front seven will be a key factor in determining whether San Francisco takes that next step to the NFL's big stage in the Big Apple. Gore, the 49ers' career rushing leader, managed only 16 yards on nine rushes in a 29-3 Week 2 loss at Seattle for his second-lowest yardage output of the year. He'll have to do much better to help San Francisco advance to the Super Bowl. Coach Jim Harbaugh calls Gore a ''mystical man'' for his uncanny knack at reading defenses and anticipating opponents' tendencies. Harbaugh remembers his first conversation with Gore, a 30-minute chat on a balcony overlooking the practice fields. Finding openings in the defense is not something he studied. He insists he has always had the ability, perhaps more noticeable now that the 49ers are a consistent winner again. Gore doesn't have a snazzy nickname like Seahawks counterpart Marshawn Lynch and his ''Beast Mode'' moniker. He doesn't mind one bit. ''I don't care, man, as long as we win and people respect my game - my peers who I play against, my coaches, my teammates - that's all I worry about,'' Gore said. He certainly has that. Gore finished with 1,128 yards and nine touchdowns for his franchise-record seventh 1,000-yard season in a nine-year career. And one memorable Gore run is still plenty fresh for the Seahawks. Gore's misdirection 51-yard burst set up a go-ahead 22-yard field goal by Phil Dawson with 26 seconds remaining in the 49ers' 19-17 victory over the Seahawks at Candlestick Park on Dec. 8. Now, taking the next step for San Francisco means beating a smothering Seahawks defense that ranked seventh against the run during the regular season. Running backs coach Tom Rathman has a basic philosophy at this stage of the season when the margin for success is so slim. 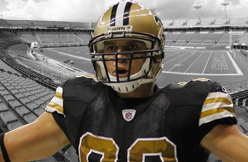 Jimmy Graham: Tight end or receiver? Is he a receiver or a tight end? And how much is he worth? The first will become important if Graham and the Saints are unable to agree on a new long-term contract before the franchise-tag deadline of March 3. If the Saints opt to use the franchise tag on Graham, it could set off a groundbreaking battle over his official designation. Last year the franchise-tag salary was $10.5 million for receivers and $6 million for tight ends. According to ESPN Stats & Information, Graham lined up 291 times this year as an in-line tight end (33 percent). He lined up 395 times in the slot (45 percent). And he lined up 191 times out wide (22 percent). Pro Football Focus had almost the exact same numbers (290, 396 and 191). Graham's agent Jimmy Sexton would likely argue that Graham should be labeled as a receiver since he spent 67 percent of his snaps lined up in traditional receiver positions. The Saints, meanwhile, could argue that Graham is still a tight end, first and foremost, and that the modern-day definition of the position is different than it used to be. It's a debate that has come up in recent years with pending free agents like Jared Cook and Jermichael Finley -- as well as with some defensive players who are hybrid outside linebacker/defensive ends. But it has never reached the point before where an official decision had to be made. Graham is indeed used primarily as a receiver. He even comes off the field on many run plays to be relieved by better blocking tight ends. However, the tight end position is starting to become more and more dominated by similar-type players like veterans Rob Gronkowski, Tony Gonzalez and Antonio Gates and emerging youngsters Jordan Cameron and Julius Thomas. And their salaries count among the franchise-tag figures for tight ends. In fact, Gonzalez actually ran significantly more routes as a receiver this year (483) than Graham (373), according to ESPN Stats and Information. Cameron was close behind at 365. Breaking it down further, Graham led all tight ends in routes run while lined up out wide (133, with Gonzalez at 98). However, Graham ranked seventh among all tight ends in routes run from the slot. In one sense, the debate shouldn't matter. The end game here is a long-term contract -- and Graham should ultimately earn an annual salary that's closer to the $10.5 million range than the $6 million range. That more accurately reflects Graham's value to the team, no matter how you label his position. However, the franchise-tag designation will be key since it will provide leverage for one side or the other as Sexton and Saints general manger Mickey Loomis haggle over just much that long-term deal should be worth. Gronkowski signed the richest deal ever by a tight end in 2012 -- an extension worth $54 million over six years. That deal isn't a perfect comparison, since Gronkowski was only two years into his rookie deal at the time, and because it included an opportunity for the New England Patriots to opt out of the final four years. However, that $9 million average should help set the floor for Graham's market value. Meanwhile, a top free-agent receiver such as Mike Wallace signed a five-year deal worth $60 million last year with the Miami Dolphins. In the last two seasons, the San Francisco 49ers are 2-0 against the Seattle Seahawks when Frank Gore runs for 100 yards. The 49ers are 0-2 when he’s been all but shutdown by Seattle’s defense. While who will win the NFC Championship game on Sunday probably won’t be as easily determined as whether Gore puts 100-plus on the board, it’s obviously that stopping Gore will be a primary focus for the Seahawks. “If you stop the run that’s key, especially with these guys,” Seattle defensive end Cliff Avril said. Frank Gore is a heck of a back and the biggest thing for us is being sound and playing discipline. Not trying to do too much like getting out of your gaps and trying to make that extra play or whatever because he will definitely pick us apart if you do that. Gore’s 51-yard scamper in the fourth quarter against Seattle in Week 14 set up Phil Dawson’s game-winning field goal to hand San Francisco a 19-17 victory over the Seahawks. Gore finished the game with 110 yards on 17 carries. The Seahawks shut Gore down in their first matchup in Seattle. Gore had just 16 yards on nine carries as Seattle put the game into the hands of Colin Kaepernick. Kaepernick has thrown just 11 regular season interceptions since taking over as the 49ers starting quarterback last season. Four of those interceptions have come in Seattle against the Seahawks. Seattle intercepted Kaepernick three times in their 29-3 victory over the 49ers in Week 2. It’s the only time in his career Kaepernick has thrown multiple interceptions in a game. When Gore is ineffective, it puts the game in Kaepernick’s hands. With a secondary as strong as Seattle’s, that plays right into the Seahawks hands. It was the same way a year ago for the two games between the teams. In San Francisco, Gore ran for 131 yards on 16 carries. 49ers win 13-6. In Seattle, Gore was held to 28 yards on six carries. Seahawks win 42-13. The game won’t purely be decided based on how Gore fares against Seattle’s defense. However, if the 49ers hope to earn their second straight Super Bowl appearance, Gore’s success will likely be one of the key factors of the game. Colts wide receiver isn’t sure when he’ll resume football activities after tearing the ACL in his right knee in October, but he’s sure he’ll be back on the field for the 2014 season. Wayne says that his knee feels “great” and that rehab is “so far, so good,” which has left him with an optimistic view about how things will go once he is back on the field. Wayne turns 36 in November, which makes it pretty unlikely that he’s going to reach new heights when he returns from a serious knee injury. With T.Y. Hilton blossoming in Wayne’s absence this season, though, that shouldn’t be a problem for the Colts. Hilton can be the big hitter while Wayne moves into a role that calls for more reliability than explosiveness to an offense that needed such a receiver when Wayne was lost for the season. New Orleans is running into money issues, trying to fit so many good players into the fold. The New Orleans Saints are paying the price for being a very good, competitive team. Literally. Years of smart drafting and deft free agent signings have made the team competitive for the better part of a decade, with a Super Bowl coming in 2009. Now, the franchise is trying to figure out how to keep the band together, per the Times-Picayune. The Saints have a plethora of free agents to try to re-sign this offseason, led by tight end Jimmy Graham. By far the best at his position, Graham is going to break the bank and deservedly so. Other free agents of note include center Brian de la Puente, corner Malcolm Jenkins and tackle Zach Strief. With next year's salary cap projected to be $126 million, New Orleans is already $12 million over that figure. On the positive side, the Saints' largest contract belongs to quarterback Drew Brees, who is scheduled to make $18.4 million in 2014-15 before seeing his cap hit spike to $26.4 and $27.4 the following two seasons. Luckily, Brees has said he is very willing to restructure his contract to help the team's financial situation. A few potential cuts could start with linebacker Will Smith and running back Pierre Thomas. Cutting Smith -- who didn't play in 2013 due to injury -- would save the Saints $11.5 million while Thomas is due $2.9 million but can be cut without a penalty. Wide receiver Lance Moore could also be a cap causality, saving the team $2.5 million but also giving it some dead money against the cap. He wouldn't be an easy decision like Smith. It would be stunning if the Saints let Graham walk out the door. In all likelihood, New Orleans will hand out a few extensions, cut some dead weight off the back side of the roster and either tag Graham or ink him long-term. A long-term deal would help the cap situation in the short term, but could complicate things down the road. General manager Mickey Loomis will have to make that call and live with the consequences. Jason Witten is currently the highest-paid tight end per year, making $7.4 million. It stands to reason Graham will come close to the $10 million figure with a boatload in guaranteed money on a long-term contract. However, the franchise tag would put Graham at around $7 million next season, while giving Loomis a little time to restructure the cap situation. Jenkins and Strief might be given the right to look elsewhere for a new deal, with New Orleans trying to replace them on the cheap with draft picks. The Saints hit last year in the first round on dynamic safety Kenny Vaccaro, and will again try to replace a few expensive starters with younger, cheaper players. It would come as a shock to nobody if New Orleans went for an offensive lineman or a corner to pair with Jabari Greer. Ultimately, the Saints will lose a few players to stay competitive, but with a strong draft and some wise signings they will remain a force with Brees and Sean Payton at the top. SANTA CLARA -- The dry weather conditions are frightful, but Sacramento is certainly enjoying a quieter, calmer winter now that the Seattle folks are directing their venom elsewhere in California. Fans of the NFL teams in the West Coast’s most sophisticated, geographically appealing cities, those of course being for the 49ers and Seahawks, have been spitting at each other for months, though not at this volume. Talk shows. Television graphics. Scientific analysis. The coaches and players are talking about it, and repeatedly hearing about it, and undoubtedly formulating their own opinions on whether the noise level inside the stadium will affectthe outcome of Sunday’s NFC Championship Game. For the past two regular seasons, the Seahawks have been loving it. They were undefeated at home in 2012 and lost only one game (to Arizona) in 2013. If CenturyLink Field earned a salary, it would be in the Kobe Bryant/LeBron James range. If it were human, it could be charged with assault and sued for the intentional infliction of emotional distress. And how ironic is this? If it were an NBA facility, it would be a modern version of Sleep Train Arena. On nights the Kings play well and capitalize on the cowbells, whistles, architectural advantages and ear-shattering amenities that routinely enhance the fan frenzy, the old barn remains the loudest building in the league. But all that noise only makes the visitors uncomfortable; it doesn’t guarantee victories. The Kings still didn’t beat the Lakers in the seventh and deciding game of the 2002 Western Conference finals, so it didn’t really matter that coach Phil Jackson complained about his ears ringing for days, that Bryant raved about the atmosphere for years, or that the most famous Kings tweaker, Shaquille O’Neal, is the most loquacious member of the organization’s new ownership group. What mattered is that the Lakers maintained their poise and made plays. They weren’t rattled. And somehow, they found a way to overcome the volume. The 49ers have been polishing their communication skills, working hard to dispel the commonly held notion that men don’t talk, throughout the week. The 49ers have won road playoff games at Green Bay and Carolina. The game planning also includes a heavy emphasis on getting more out of Frank Gore, whose effectiveness against the Seahawks tends to mirror the outcome between division rivals. In the 49ers’ bruising 29-3 loss Sept. 15 in Seattle, the 5-foot-9 veteran had 16 yards on nine carries. In the 49ers’ 19-17 win at Candlestick Park on Dec. 8, Gore’s 110-yard performance included a 51-yard burst that set up Phil Dawson’s winning field goal. The 49ers’ offensive linemen are aware of the numbers, as well as the fact that, if the Seahawks statistically have a tender spot, it’s their rush defense: Seattle led the league in total defense and passing defense but allowed 101.6 rushing yards per game, tied for seventh. Creating openings for Gore and Colin Kaepernick, center Jonathan Goodwin acknowledged, is both challenging and imperative. There is that noise factor again. Asked about the use of silent snap counts and how often multiple plays will be called, he hesitated. Dawson, standing a few feet away, with his shoes lined up and meticulously stored, was somewhat more forthcoming; he can’t hear anything in CenturyLink Field, not even the sound of his foot hitting the ball. Toronto Raptors F John Salmons hit 5-of-9 shots and three 3-pointers for 13 points, one rebound, two assists, two steals and a block off the bench on Wednesday. He played 27 minutes, while starter Terrence Ross played 25 and had eight points, four rebounds and two 3-pointers. Salmons has hit double figures in scoring in three straight games and is averaging 12 points, 1.75 steals and 2.5 3-pointers over that stretch. Ross is still the guy to own for now, but Salmons deserves a watchful eye from fantasy owners in case he continues to stay hot off the bench. He put defensive tackle B.J. 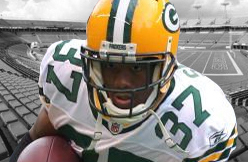 Raji 11th on his list and cornerback Sam Shields 15th. The long-held secret of what the Carolina Panthers got from the New York Giants in return for linebacker Jon Beason was revealed Tuesday. Gettleman said the Panthers received a seventh-round pick in the 2014 draft for Beason. When the Panthers traded Beason to the Giants in Week 5, neither team announced what the conditional pick would be. Beason had 93 tackles, zero sacks and one interception in the 11 games he played for the Giants this year. The Panthers now have a draft pick in every round of May’s draft. The Panthers had traded their own seventh-round pick to the 49ers in 2012 for special teamer and safety Colin Jones. Carolina will have the 28th overall selection in the first round of the draft. Reggie Wayne tackled the question at issue as directly as he would have run a go-route. "Knee is great. Knee is so far, so good. It's moving forward from there," the Indianapolis Colts six-time Pro Bowl wide receiver said Monday while he and his teammates cleaned out their lockers and moved into the offseason. Wayne tore the anterior cruciate ligament in his right knee during the fourth quarter of an Oct. 20 victory over the Denver Broncos. He was placed on the injured reserve list and underwent reconstructive surgery five days later. He declined Monday to speculate on when he will resume full football activities, but he made it clear he expects to play next season and play at, and even above, the level that has made him a 1,000-yard receiver eight of the past 10 seasons. "I can tell you that Reggie Wayne, as I'm speaking in the third person, has never lacked confidence," he said. "I'm very, very, very confident I will come back better than I was. "One thing about this time: It was an opportunity for my body to heal up a little bit so hopefully I stole a year. We'll go from there." 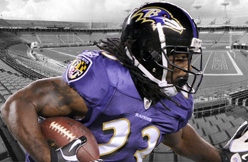 Wayne, 35, has played 196 games over 13 NFL seasons. He has made the best of his forced rest, but he has not taken the injury lying down. "He beats the trainers here," Colts coach Chuck Pagano said. "I hear it all the time, that he beats those guys into the training room. He's way ahead of schedule in the rehabbing." Wayne's season didn't end when his knee folded under him Oct. 20 because the Colts season didn't end. "He told us: 'I'm going to be around. I'm going to be doing my rehab. I'm still going to help you out,' " second-year wide receiver T.Y. Hilton said. Training room treatment and work in the weight room aside, Wayne has been a constant in coordinator Pep Hamilton's sessions with the offense and in the receivers meeting room, mentoring, tutoring and helping receivers coach Charlie Williams prepare the young receivers tasked with filling the gaping hole left by Wayne's absence. Hilton, LaVon Brazill, Griff Whalen and Da'Rick Rogers all made progress, some of it remarkable. Through it all, Wayne maintained his well-established spot in the back of the receivers room, where Hilton sits up front, eager and attentive, if not always in full grasp of the subject. "Whenever I've got a question, I just look back," said Hilton, who caught 82 passes for 1,083 yards and five touchdowns during the regular season and 17 more for 327 yards and two touchdowns in two playoff games. "He knows I've got a question. We've kind of got that thing going." Backup quarterback Matt Hasselbeck has been with four teams through 16 NFL seasons but he has seen few players accorded the respect Wayne quietly commands. "That's happened maybe three times. Rarely do you see someone have that much respect inside a locker room, in the building, really." "It humbles you. It really does," Wayne said. "A lot of stuff in life, just period, you take for granted but this was a time for me to sit back and appreciate. I was (placed) in a certain role or a different role than I'm used to but it was cool, man, it was fun. "It didn't end the way we wanted it to. We know we've got a lot of work to do and hopefully next year will be a different outcome." Wayne ranks eighth in NFL history with 1,006 receptions and 11th with 13,566 receiving yards. He is under contract through next season. Jimmy Graham started with a bang before the NFC divisional playoff game, getting into an altercation with Seattle Seahawks linebacker Bruce Irvin. But the New Orleans Saints' tight end didn't show up again until 24 seconds remained in the Saints' 23-15 loss. Drew Brees only targeted Graham once in the first half. He targeted the All-Pro tight end four more times and came up empty. Graham's sixth and final target turned into his one and only catch for eight yards. Not exactly the type way he wanted to wrap up a contract year, though Graham's previous results should make him a very, very wealthy man this offseason. But the paltry output induced a bucket of negative comments from the Seattle locker room, including defensive end Michael Bennett telling Bleacher Report that Graham was soft and the most overrated player in the NFL. "I read what one player or two players had said and look, that is pretty typical when you get into these heated games," Saints coach Sean Payton said Monday. "I don't concern myself as much with what an opposing player might say. What's most important to us is our evaluation of a player's progression and how he impacts our team and how he helps us win." I charted each of Graham's snaps on passing plays from the coaches' film. The Seahawks mixed up coverages on Graham and typically blanketed him when using single coverage. Soft? Overrated? I'm not buying either tag. But we've seen good defenses find ways to take Graham out of the equation in 2013. Finding ways to counteract the tactics of some of the upper-tier NFL defenses will be essential for the Saints to find more consistent production from the top weapon. ST. LOUIS -- In an offseason already highlighted by his November wedding, Jon Jay has been busy planning another big event, one that offers him a chance to assist a local organization whose impact hits close to home -- both literally and figuratively -- for the Cardinals outfielder. 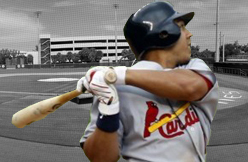 For the third straight year, Jay will host the Jon Jay FMSbonds Celebrity Bowling Challenge at Lucky Strike in Miami Beach, Fla. The event, which sold out its space each of the last two years and has raised over $50,000 for charity, will again benefit the Boys & Girls Clubs of Miami-Dade. The charity beneficiary was not chosen by chance, either. After donating the proceeds of his first bowling event to the Chapman Partnership, a Miami-area group that helps the homeless, Jay decided to partner with the Boys & Girls Clubs. He had long hoped to give back to this organization specifically, as it was a resource he directly benefited from as a child growing up in South Florida. "I always knew I wanted to do something in Miami to help out," Jay said. "I grew up in the Boys & Girls Club in Miami, so it became a perfect fit. I used to walk there." 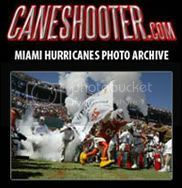 In order to help stir interest in the event, Jay has elicited the participation of other Miami athletes and celebrities and Cardinals teammates to participate in the bowling night. Previous attendees include baseball players Daniel Descalso, David Freese, Allen Craig, Lance Lynn, Mike Lowell, Gio Gonzalez, Tyler Greene, John Mayberry, Blake Tekotte, Luis Exposito and Chris Marrero. The Miami Heat's Chris Bosh has stopped by, as well as actor Bryan Greenberg and celebrity chef Richard Ingram. Among those expected to attend this year's event -- which will be held Jan. 24 from 7-10 p.m. ET -- are Orioles infielder Manny Machado, Padres first baseman Yonder Alonso and NFL player Jimmy Graham. "It's been incredible, the turnout and how the community has received this," Jay said. "It's heading in the right direction of where we want to go. We're at the point now where we're at our third year, and we have a vision of really extending this and taking it to the next level." A portion of the money donated to the Boys & Girls Clubs of Miami-Dade will be allocated to the organization's baseball program, of which Jay was a member. It will also help a mentorship program that Jay and his father established through the Boys & Girls Clubs to assist boys ages 6-20 with overcoming obstacles associated with growing up in the inner city. Jay remains active with this program while in Miami during the offseason. His father makes several weekly visits to work with these boys each week of the year. "It's hard growing up in the inner city, but we want them to know something can come of it," Jay said. "Through the inner-city program, we traffic a lot of kids to play baseball from the inner cities. It's growing. We envision the program growing and reaching out to other parts of the inner city to help more people. We want to show them that working hard and having a good attitude can take you far." Jay used the recognition gained from being a part of the Cardinals' 2011 World Series championship club to get his dream of hosting a bowling event off the ground, and support from key sponsors FMSbonds and Emerson Electric Company have helped grow the event. Jay had a connection to both companies through family friends. For more information on the event and/or to secure a spot to bowl in the Jon Jay Celebrity Bowling Challenge, visit jonjaychallenge.com. Bowling spots can be reserved as individuals or teams. For those not able to participate in the event, there is an opportunity to make a donation to the Boys & Girls Clubs of Miami-Dade through the website as well. COMMENTARY | The Milwaukee Brewers' offseason has been the dullest form of dull, but at least Ryan Braun has been out of the spotlight. Milwaukee is the only team in Major League Baseball that has yet to sign a free agent to a big league deal, and members of their fanbase are seriously debating amongst each other about who should start at first base between Juan Francisco, Sean Halton and Hunter Morris. In case you didn't notice, first base remains an issue in Milwaukee. Among current MLB players that play right field, Ryan Braun is one of just three to win an MVP Award. The others are Ichiro, who can see the light at the end of the tunnel, and Josh Hamilton, who took a big step back in performance last season and plans to move back to left field in 2014. 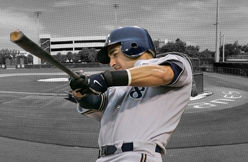 This facet remains a bit blurry, but what we know for sure is that Braun used performance-enhancing drugs during the 2011 season to help battle injury. There's no telling if Braun used PEDs again in 2012 and beyond, or at any point prior to 2011. But the 30-year-old still went on to have an MVP-caliber season in 2012 sans PEDs -- allegedly. One would think Braun would be more careful following his positive test toward the end of the 2011 season, but who knows? We just know that Braun still managed to perform at a high level. Remember when Braun played third base during his rookie season? Well, maybe you blocked that from memory, because it wasn't pretty. But ever since Braun moved to the outfield, his defense has become a strength rather than a liability. We're not saying that Braun's defense is Gold Glove material, but he has a serviceable glove to go along with plus speed and the ability to hit for average and power, giving him a skill set that not many can match in baseball. Again, we can't be sure how much PEDs have boosted Braun's performance over the years, but one thing is for sure -- he isn't fazed by the spotlight. Braun comes through when it matters most. He's the guy who put the Brewers in the playoffs back in 2008 with a 2-run home run on the final day of the regular season. He also wrapped up the NL Central in 2011 with another long ball. Those are just a few examples of Braun's ability to swing a game with one swing of the bat. On top of being a great player, Braun also has the clutch gene, something that can't be undersold. When it comes down to it, there isn't anyone besides Braun that can make a stronger case for being the best right fielder in baseball. There is up-and-coming talent like Giancarlo Stanton, Yasiel Puig and Wil Myers, and mainstays like Hamilton, Carlos Beltran and Jay Bruce. Those first three names may soon be battling it out for the supreme right fielder in the game. But, for now, the crown belongs to Braun, who is in his prime and currently the best right fielder in baseball. Lolo Jones and Lauryn Williams get one more chance to impress U.S. bobsled Olympic Team selectors Sunday. Jones and Williams were named as two of three U.S. push athletes for a World Cup event in Igls, Austria. The three Olympic push athletes will be chosen by a selection committee and are expected to be nominated as part of the full Olympic Team on Sunday night. In Igls, Jones will pair with USA-3 driver Jazmine Fenlator. Williams will pair with USA-2 driver Jamie Greubel. USA-1 driver Elana Meyers is with her usual push athlete, Aja Evans. The other push athletes in the running to make the Olympic Team are Katie Eberling, who usually races with Greubel, and Emily Azevedo, the only push athlete with Winter Olympic experience. Jones, a two-time Olympic hurdler, has raced with Fenlator more than any other driver since taking up bobsled last season. 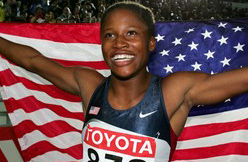 Williams, a three-time Olympic sprinter, is in her rookie season of bobsled. The makeup of the U.S. men’s Olympic bobsled team is also very much in question going into Igls. The U.S. will very likely qualify three two-man sleds and two four-man sleds for Sochi. That means Cory Butner and Nick Cunningham are essentially vying for one four-man spot behind Steven Holcomb. Butner is ranked No. 16 in the world in four-man with 652 points, adding up a driver’s six best results this season. Cunningham is ranked No. 17 with 644 points. The eight-point margin is the difference between one spot in the standings of a single race. It is yet to be determined if the second U.S. sled in the four-man will be based on FIBT rankings or other criteria. SEATTLE — New Orleans Saints tight end Jimmy Graham wasn’t in the mood to talk about his pregame altercation with Seattle Seahawks linebacker Bruce Irvin after Saturday’s season-ending divisional playoff loss. But Irvin was more than happy to give the blow-by-blow. Photographers on the field caught Graham yelling and removing Irvin’s knit hat as a Saints staff member tried to hold him back. But Irvin said that came only after he escalated the exchange. Also before the game, Graham got into a shouting match with Seahawks cornerback Richard Sherman, who played a role in holding him to one late catch for 8 yards on six targets. “He said he was going to run us over or something,” Sherman said, then laughed. Does that stuff happen often before games? Graham, 27, had 86 catches for 1,215 yards and 16 touchdowns this season. He’s due to hit free agency in March if the Saints don’t use the franchise tag or work out a multi-year contract first. Although former Ravens running back Damien Berry has denied selling his Super Bowl XLVII ring, notarized documents provided to The Baltimore Sun by Goldin Auctions contradict his version of events. In a telephone interview, Ken Goldin, the founder of Goldin Auctions, said that Berry and witness Brian Levine, went to a Wells-Fargo bank in Florida to have the sales contract notarized. Goldin said that Berry displayed his driver's license to an authorized, licensed notary before being given two cashier's checks that the NFL player then cashed at the bank. A copy of one cashier's check in the amount of $10,000 from Wells-Fargo made out to Berry was emailed to The Sun. The documents show that the purchase agreement was signed and executed on Aug, 30, 2013. Goldin said that the ring was later sold to an undisclosed third party, which then consigned it to Goldin Auctions. "We feel like our credibility has been questioned by Damien, and I feel like he's injuring the sale of the ring," Goldin said. "We wanted to set the record straight and assure the winning bidder on the ring to know that we have full authorization to sell the ring and they will own it clear and unencumbered. "I don't know why Damien is doing this, but I can only imagine that Damien is embarrassed. You don't see [former Ravens linebacker] Jamie Sharper saying anything. 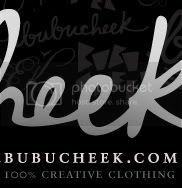 As a business owner, I'm obligated to defend our business practices." Attempts to reach Berry on Monday were not successful. Berry told The Sun last week that a friend put the ring up for sale without his knowledge to an undisclosed third party, which then sold it to Goldin Auctions. "I would never knowingly sell my Super Bowl ring," Berry said. "I'm not that kind of guy. That's not me. The ring means a lot to me and I want to do whatever it takes to get it back. This isn't what I'm about." The minimum bid for Berry's ring, shown here on the auction website -- is $15,000. As of Monday afternoon, the highest of five bids was $36,603. The auction includes Sharper's Super Bowl XXVI ring, which has a current high bid of $16,106, former Ravens running back Jamal Lewis' personal Super Bowl XXXV trophy, which has no bids yet and a minimum bid of $7,500, and former Baltimore Colts defensive back and kick returner Lester Lyles' 1958 NFL championship ring. The highest bid on Lyles' ring is $2,925. 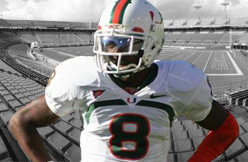 Berry is a former University of Miami player who spent the 2012 season on injured reserve. He was released by the Ravens before the 2013 regular season. "This isn't a good look, I know that, but I swear this didn't start with me," Berry said last week. "I have a lawyer who's working with me to try to get the ring back. I was shocked when people starting coming at me on Twitter about what's up with my Super Bowl ring. It's definitely upsetting, but everything will be all right." It didn't take long for 49ers running back Frank Gore to gaze beyond Sunday's divisional-round playoff win toward San Francisco's next opponent. "We have to go to Seattle," he said, per CSN Bay Area. "We know it's going to be a dog fight. But we are built for this." Seahawks receiver Doug Baldwin sounds equally primed, tweeting Sunday night: "Wouldn't want it any other way." Niners coach Jim Harbaugh is the first coach in the Super Bowl era to take his team to the conference championship game in each of his first three seasons, doing it this time with a nasty, well-coached defense that shut out the Panthers for the entire second half Sunday. That defense now faces a Seahawks attack of which Seattle coach Pete Carroll praised Saturday for its balance. Right now, I disagree. If anything concerns me about the Seahawks, it's their passing game. While their ground attack shined for 174 yards Saturday, Russell Wilson's 103 yards through the air marked the lowest passing total in a playoff win since Mark Sanchez threw for 100 in a Jets divisional-round game in 2009. Fierce gusts of wind at CenturyLink Field were the "worst factor," said Wilson, but Drew Brees found a way to puncture Seattle's historically epic pass defense for 309 yards and a touchdown strike. Wilson isn't being asked to save his team through the air the way Brees or Andrew Luck were asked to this weekend, but San Francisco, after holding the Panthers to 93 yards -- Carolina's second-lowest total on the ground all year -- is going to put pressure on Wilson to make plays. I can't wait to see how this young quarterback responds. Seattle's air attack has been off for weeks, with Wilson throwing for 74 fewer yards per outing over his past five starts. During that stretch, the Seahawks are scoring 8.3 fewer points per game and churning out 98.5 fewer yards. Seattle's ground game capably picked up the slack against New Orleans, but that won't be a given next week against San Francisco's fourth-ranked run defense. No team's a tougher out at home than the Seahawks, but the 49ers are the conference's hottest property right now. Gore's right, a dog fight looms. INDIANAPOLIS -- Reggie Wayne was around on a regular basis. Team meetings, constantly talking with offensive coordinator Pep Hamilton, in practices, joking with teammates in the locker room, on the sideline during games and even walking around the field with them during warm ups. The only place you couldn't find the veteran receiver was on the field in uniform running routes for quarterback Andrew Luck. But Wayne believes he'll be back out there next season. No, he's confident he'll be back playing next season after a torn ACL limited him to only seven games this season. "I can tell you that Reggie Wayne, as I'm speaking in the third person, has never lacked confidence," Wayne said. "I'm very, very, very confident I will come back better than I was. Wayne -- and coach Chuck Pagano -- said from the start that the 35-year-old receiver would prove any doubters wrong who don’t believe he can return from the knee injury. That’s why Wayne is so committed to his rehabilitation. "He beats the trainers here," Pagano said. "I hear it all the time that he beats those guys into the training room. He's way ahead of schedule in the rehabbing." Wayne ranks eighth in NFL history with 1,006 receptions and 11th with 13,566 receiving yards. He traded in the catches, yards and touchdowns this season for being a hands-on mentor for the young receiving group, led by T.Y. Hilton, who stepped up to be Luck’s primary target in Wayne’s absence. "It humbles you. It really does," Wayne said. "A lot of stuff in life, just period, you take for granted but this was a time for me to sit back and appreciate. I was [placed] in a certain role or a different role than I'm used to but it was cool, man, it was fun. Jon Beason has been labeled a lot of things throughout his seven years in the NFL, but he’s never been called a free agent. The middle linebacker is set to hit the market this offseason after making an instant impact on the Giants as a midseason acquisition in 2013. Twelve days after his former team, the Carolina Panthers, beat the Giants, Beason was traded to Big Blue on Oct. 4 for a 2014 late-round draft choice. Two days after that, he suited up for the Giants against Philadelphia, and less than a week later, he started on Thursday night in Chicago, where the Giants’ 0-6 start bottomed out. From there, Beason and company righted the ship and salvaged what they could by winning seven of their last 10 games. As Beason rejuvenated his new team, he did the same on an individual level. After injury-plagued seasons in 2011 (torn left Achilles tendon) and 2012 (shoulder and knee injuries), Beason solidified himself as a playmaker on the Giants defense. In 12 games, he finished with 93 tackles for the Giants, second only to defensive co-captain Antrel Rolle’s 98 and 19 more than the next linebacker (Spencer Paysinger had 74). But most importantly, Beason came out as healthy as a player can be after an NFL season. Beason said he was excited about the prospect of being fully able to train as opposed to rehab. For what team he’ll be training for, that remains to be seen. CLEVELAND - Legendary Cleveland Browns quarterback Bernie Kosar will receive the Lifetime Achievement Award at this month’s 14th Annual Greater Cleveland Sports Awards, the Greater Cleveland Sports Commission announced Thursday. The Lifetime Achievement Award recognizes a sports figure who has made a lasting impact on the Cleveland community. Kosar, a native of Youngstown, became a Cleveland icon almost as soon as he was drafted by the Browns in 1985. Taking over the starting position midway through his rookie season, Kosar quickly cemented himself as one of the National Football League’s top signal-callers. Kosar led the Browns to the AFC Championship three times during his career and was named to the 1987 Pro Bowl. He also set the NFL record for consecutive pass attempts without an interception (308). Since retiring, Kosar has maintained an active presence in the Cleveland community. Along with serving as the color commentator for Brown’s pre-season games, Kosar hosted a charity golf tournament for many years. 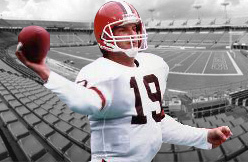 Kosar also played a major role in bringing an Arena Football League franchise to Cleveland. The Greater Cleveland Sports Awards honors the best of Cleveland sports and features top sports personalities and athletes, an outstanding memorabilia and experience auction and an exciting dinner and awards show. The event will be held on January 23 at the Renaissance Cleveland Hotel Grand Ballroom. John Salmons scored 10 points off the bench in Monday's blowout win, hitting 3-of-5 shots (including two threes) with four rebounds and five assists in 27 minutes. Salmons has picked up the pace over the last week and if you were able to randomly predict his uptick he'd be useful in a 12-team standard league, but when you expand his sample to a two-week period he's been a 16-team option in standard leagues at best. Plan accordingly. 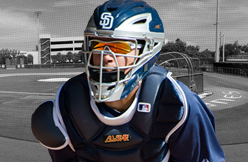 Catcher Eddy Rodriguez was one of 14 Padres minor leaguers who were granted free agency last November. Today it was reported that he has signed with the Rays, making him the fifth minor league free agent from the Padres organization to sign on with another team. Rodriguez made his major league debut with the Padres on August 2, 2012 after being promoted from Lake Elsinore a day prior as a result of Yasmani Grandal hitting the DL. Facing Johnny Cueto in his first major league at-bat, he knocked the ball out of the park, becoming the third of four Padres catchers ever to hit a home run in his first ML at-bat. He made two starts for San Diego that year before Nick Hundley returned on August 9th, at which time he was optioned to Triple-A Tucson. Less than a month later, he was DFA , but passed through waivers unclaimed. He re-signed as a minor league free agent in 2013 with an invitation to Spring Training and split time between San Antonio and Tucson during the season, but he never made it back to San Diego. Like Corey Brock said, this seems like a good move for Rodriguez. Wishing him the best of luck and lots of good fishing in Tampa! Contract Status: Under club control. 2013 Statistics: Hit .216 with one homer and nine RBIs in 88 at-bats in just 28 games. 2012 debut on May 28 and had only three hits in his first 28 at-bats. On July 6, he suffered a season-ending tear to the anterior cruciate ligament in his right knee in a collision at home plate. He underwent knee reconstruction surgery on Aug. 6. He was 11-for-43 with six doubles, a homer and five RBIs in the 15 games just before his injury. Looking Ahead: Grandal says he will be ready by Opening Day, but the protocol for his injury is for a rehab of nine to 12 months which means he will likely start the season on the disabled list. 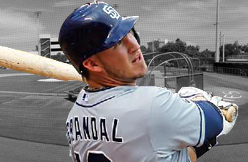 If healthy, the switch-hitting Grandal figures to be the Padres starting catcher. But there are major questions, the most obvious being was his great debut in 2012 a sign of his talent and skills or a byproduct of PEDs. Projected as a upper-echelon catcher on both offense and defense. Plus/Minus: Offensively, Grandal is a switch-hitter with pop from both sides. Defensively, has excellent receiving tools and a strong arm. Pitchers like throwing to Grandal. He was ranked the No. 2 prospect in the Padres organization before the 2012 season. "I'm Jimmy," Jimmy Graham told a group of Seahawks when they asked him to move out of their area. Somehow, the Seahawks took this as an insult and a bit of softcore violence broke up prior to yesterday's Saints-Seahawks divisional playoff game. Graham, apparently too important to be asked to move, was apparently also too important to contribute more than eight receiving yards during the game, which he and the Saints lost, 23-15. Back in Seattle's locker room following the contest, the Seahawks' defense had some choice words for Graham. Seahawks' Michael Bennett called Jimmy Graham soft and the most overrated player in the NFL. CHARLOTTE, N.C. -- Frank Gore had run for only 39 yards until he doubled that output on a fourth-quarter carry that helped seal the 49ers' 23-10, divisional-playoff win over the Carolina Panthers on Sunday. On third-and-1 at the 49ers' 34-yard line, Gore burst through traffic at the line of scrimmage and reached the Panthers' 27 before getting tackled. That put the 49ers well within range for Phil Dawson's third field goal of the game, and most important, that drive soaked up nearly eight minutes. "I've never seen anybody pop big runs like Frank Gore does when there's nine, 10, 11 men in the box," 49ers coach Jim Harbaugh said. 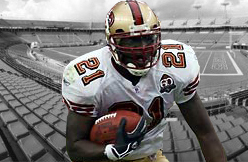 Gore finished with 84 of the 49ers' 126 rushing yards. His 632 all-time playoff yards moved him past Steve Young (594) for second most in 49ers history behind Roger Craig (817). Part of Gore's motivation was to conquer Panthers linebacker Luke Kuechly, who unseated the 49ers' Patrick Willis on the Associated Press' All-Pro first team next to NaVorro Bowman. "I take my hat off to No. 59 (Kuechly), he's a great player, but I wanted to show everybody that we have two of the best linebackers in the league," Gore said. Last week in practice, Gore played a behind-the-scenes role in preparing Vernon Davis for Sunday's go-ahead touchdown catch. Gore threw an array of passes to Davis on the side, and Davis credited those sessions for his fancy footwork on a 1-yard TD catch 5 seconds before halftime. "We'd be on the sideline when the defense was practicing," Gore said. "I'd say, 'You want to be great. Let's do this.' Then I'd make crazy throws -- low, high, one-hand (catches), behind him. We're just trying to get better." Former Ravens running back Damien Berry denied putting his Super Bowl XLVII ring up for sale, telling The Baltimore Sun that the pending auction wasn't authorized by him. Berry said a friend put the ring up for sale without his knowledge, selling the ring to an undisclosed third party that later sold it to Goldin Auctions. However, Ken Goldin, the founder of Goldin Auctions, told The Baltimore Sun on Saturday night that he has a copy of a sales agreement with Berry that includes witnessed, notarized documents for a chain of custody that will be made available to the winning bidder of an online auction conducted through www.GoldinAuctions.com. Goldin said that his company conducts extensive research and verification of all items, and wouldn't sell anything that it's not authorized to make available for auctions. A source familiar with Goldin Auctions' business practices said the company conducts extensive background checks to ensure that there's paperwork backing up the legality of all sales. The minimum bid for Berry's ring -- pictured here on the Goldin Auctions website -- is $15,000. As of Saturday night, the highest of five bids was $36,603. A former University of Miami player, Berry spent the 2012 season on injured reserve with the Ravens before being cut prior to the start of the 2013 regular season. Berry expressed embarrassment about the ring being up for sale. "This isn't a good look, I know that, but I swear this didn't start with me," Berry said. "I have a lawyer who's working with me to try to get the ring back. I was shocked when people starting coming at me on Twitter about what's up with my Super Bowl ring. It's definitely upsetting, but everything will be all right." The winter auction also includes former Ravens linebacker Jamie Sharper's Super Bowl XXXV ring, former Ravens running back Jamal Lewis' 2000 Super Bowl trophy and former Baltimore Colts defensive back and kick returner Leonard Lyles' 1958 NFL championship ring. There are no bids yet on Lewis' personal trophy, but four bids have been entered for Sharper's ring, with a high of is $14,641. Goldin Auctions says it has sold more than $600 million worth of sports memorabilia, including a Honus Wagner T206 card for a sale of $2.1 million in 2012. The Chiefs signed former Oakland and Pittsburgh cornerback DeMarcus Van Dyke to a reserve-futures contract Friday, according to a source. Van Dyke, who also confirmed the signing on Twitter, is listed at 6 feet 1 and 187 pounds. 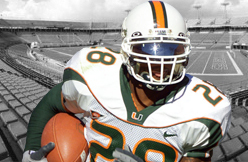 He was taken in the third round of the 2011 NFL Draft by the Raiders — despite starting in only three of his 13 appearances his senior year at the University of Miami — after he ran a 4.28 in the 40-yard dash at the year’s combine. He was released after one season and two training camps in Oakland, where he had 10 tackles and one interception as a rookie and logged a negative-3.5 rating in 329 defensive snaps, according to Pro Football Focus. Van Dyke was signed by Pittsburgh and appeared in nine games in 2012, logging three tackles on special teams, primarily as a gunner. He was waived in August and reached an injury settlement with the team, but was re-signed in November and ended up appearing in two games, making a special-teams tackle. Clinton Portis, a former Pro Bowl running back for the Washington Redskins and a star on the University of Miami’s last national championship team, has been hit with a foreclosure lawsuit over a Miami condo unit. JPMorgan Chase Bank filed a foreclosure lawsuit Dec. 12 against Portis and his mother over the 2,070-square-foot unit in Bristol Tower, 2127 Brickell Ave. It is not listed as his homestead residence, so it may be an investment property or housing for a relative. The lawsuit concerns a mortgage granted for $512,000 in 2004. That’s the same year Portis joined the Redskins after playing his first two seasons for the Denver Broncos. 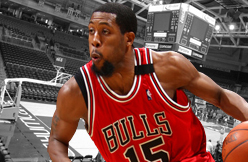 Washington signed him to an eight-year, $50.5 million deal in 2004. Portis last suited up in 2010, playing only five games due to injury. He officially retired in 2012 and was one of dozens of former players in a lawsuit against the NFL over concussions they suffered. The lawsuit was settled with the NFL agreeing to compensate the players and provide for their medical care. 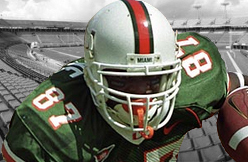 Portis will be inducted into the UM Sports Hall of Fame on April 10. 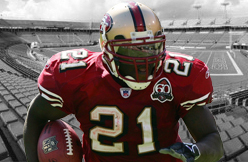 CHARLOTTE, N.C. — Frank Gore not only helped seal the 49ers' 23-10 win with a 39-yard run, he also played a behind-the-scenes role in preparing Vernon Davis for a go-ahead touchdown catch. Gore threw an array of passes to Davis on the side in practice last week, and Davis credited those sessions for his ability to keep his feet inbound in the end zone for a 1-yard touchdown catch 5 seconds before halftime. "I knew it was legit. Me and Frank worked on it with 20 to 30 passes in practice," said Davis, whose touchdown was granted upon a replay review for a 13-10 over the host Carolina Panthers. Said Gore: "We'd be on the sideline when the defense was practicing. I'd say, 'You want to be great. Let's do this.' Then I'd make crazy throws — low, high, one-hand (catches), behind him. We're just trying to get better." Gore actually finished with more receiving yards than Davis, as the 49ers' running back made an 8-yard catch on the game's first series. Of Gore's 84 rushing yards, 39 came on a third-and-1 run to spark a fourth-quarter drive that took eight minutes off the clock and led to an insurance field goal. "I've never seen anybody pop big runs like Frank Gore does when there's 9, 10, 11 men in the box," coach Jim Harbaugh said. No one expected much from Harland Gunn during the 2013 season, so it was a bonus when the Atlanta Falcons offensive guard showed an ability to run block late in the season. In fact, he probably showed more promise than any other right guard at season’s end, with Garrett Reynolds losing his starting job to demoted center Peter Konz, then Konz losing reps to Gunn. Not to say Gunn is the answer at the position. He still has a lot of growing to do. He might, however, be a player new offensive line coch Mike Tice can develop and get the best out of. Overview: Gunn was inactive for the first 13 games before the coaching staff decided it was time to give him a long look. The former undrafted player from Miami (Fla.) actually made an immediate impact as a blocker, though Gunn wasn’t quite ready for prime time after watching from the sideline so long. Since Gunn is inexpensive, it wouldn’t be a surprise if the Falcons kept him around for depth. But he’s probably not ready to be a starter despite some positive signs. Gunn’s self-evaluation: "I felt like it was an awesome experience; it was a great learning experience, especially how it all played out. Of course I didn’t play in the earlier parts of the season, but I played in the last parts of it. I got to get some last-minute experience. It was a great deal for me to take everything that I learned from playing in the last few games and carry that into the offseason with my training and getting my skills better and really coming out next year and being a true contributing player to the team. Game experience is everything in this league. You get to learn guys, learn how the game is played, learn the tempo of it. 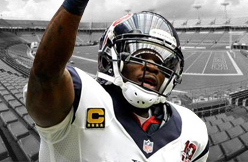 NFL Trade Rumors: Andre Johnson To Indianapolis Colts, San Francisco 49ers, Carolina Panthers or Patriots Possible? The NFL offseason is still officially weeks away as the playoffs continue to shake themselves out and for the teams not in the postseason, their focus is on the moves to make and this year there could be an uptick in offseason trades and some possibilities include Andre Johnson or Justin Blackmon and some teams that could be interested includes Indianapolis Colts, San Francisco 49ers, Carolina Panthers and the New England Patriots. All those teams have some type of issue at wide receiver and they all ranked in the bottom part of the league in receiving yards per game and that could make these deals interesting once the Super Bowl champions is crowned. There is a chance that Johnson's possible trade demands from the season will subside now that Bill O'Brien is head coach, but after losing 14 straight games on the season and dealing with a very tough year, Johnson may be ready to move on. The Texans are a team that could flip things around very quickly ala the Kansas City Chiefs and that would be something that could keep him in Houston. Jon Beason knows he wants to be a Giant, and he knows that the Giants want him. All that’s left now is to hammer out a new contract. So far, though, the two sides have only had preliminary talks, Beason told the Daily News on Friday. They each expressed their intentions, but the real negotiations on a long-term contract haven’t started. The linebacker, who was traded from the Panthers to the Giants on Oct. 4, said that “hopefully” he’ll have a long-term deal in place long before he becomes an unrestricted free agent on March 11. “I know it’s something that we both want to get done,” he said. “We’ve expressed interest that they want me back and I told them that we want to be back. The thing about it is, it’s got to work for both parties. Though you anticipate that it will, you never know. 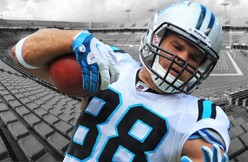 CHARLOTTE – There is no disputing whom the tough guy is in Carolina Panthers tight end Greg Olsen's household. That title belongs to his 15-month-old son, T.J., the heart-and-soul motivation fueling his father's career-best, 73-reception season for a team-high 816 yards and six touchdowns. Olsen's youngest son's heart has an underdeveloped left ventricle and aorta. T.J. has undergone two open-heart surgeries to repair a rare condition known as hypoplastic left heart syndrome. His father says he draws inspiration from his son, driving Greg Olsen as he has now played in 110 consecutive games, the second-longest streak among active NFL tight ends. On Sunday, the Panthers meet the San Francisco 49ers in an NFC divisional-round showdown. T.J. enjoys the games, Olsen said, even if he is not yet old enough to comprehend what his dad will be doing in his first playoff game since a 21-14, 2010 NFC Championship game loss to the Green Bay Packers as a member of the Chicago Bears. But it won't be long. "My older son Tate is 2 ½ and he's all about it,'' Olsen said. It was hard for Olsen and wife, Kara, to process the news that their newborn wouldn't be able to go home with twin sister, Talbot, following their birth in October 2012. T.J.'s initials stand for Trent Jerry, his middle name in honor of Panthers owner Jerry Richardson, who flew the Olsens on his private jet to Boston to consult with experts following his diagnosis. Richardson underwent 2009 heart transplant surgery at the same hospital that treated Olsen's son and where Denver Broncos coach John Fox went this past season. "We gave T.J. the middle name 'Jerry' because of the way Mr. Richardson helped us when he had no obligation,'' Olsen said. "My wife's grandmother who passed was named Jerry, too. Richardson waited those tense hours with the Olsens at The Carolinas HealthCare System's Levine Children's Hospital in Charlotte during T.J.'s surgery performed by Dr. Benjamin Peeler, chief of pediatric cardiac surgery. "Jerry was there the whole time in the waiting room when I came to see Greg and Kara after T.J.'s surgery,'' Peeler told USA TODAY Sports. Until recent developments, a mortality rate of 10-15%' existed for children with this condition between their first and second surgeries. Olsen felt compelled by his platform as a player to approach Peeler about establishing "The HEARTest Yard Fund'' to support other families who have dealt with similar heart conditions. Linebacker Luke Kuechly was stunned to learn what Olsen kept inside. Hall of Fame quarterback Troy Aikman says Olsen's presence is critical to Carolina's chances Sunday, especially with receiver Steve Smith questionable with a sprained knee. Olsen arrived in a July, 2011 trade. T.J. faces another surgery, hopefully the last one, at age 3. "We've heard from a lot of families,'' Olsen said. "One family received the diagnosis and were contemplating not going through with having the baby. Then, they saw a story about us and realized they weren't the only ones. They ended up having the baby. He's in that three-stage surgery process -- doing well. CAGUAS, Puerto Rico - Thirty minutes before first pitch at Estadio Yldefonso Sola Morales, Alex Cora is working the rail at the home dugout on the third base side like it's a receiving line at a wedding reception. He stops and greets every player on Los Criollos de Caguas, shaking hands, slapping palms and offering encouragement. If not for the fact that he's in a short-sleeved plaid shirt with a backpack slung over his shoulder, you'd think the smiling 38-year-old was one of the players. 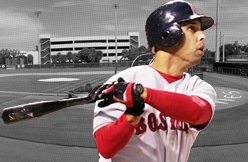 Two years after retiring following a 13-year major league career, and after spending the 2011 season as a reserve infielder with the Nationals, Cora has found another calling. In the twilight of his playing days, managers like Terry Francona and Jim Riggleman said Cora had the innate diamond smarts to make a good coach, perhaps even a major league skipper. But the ink had hardly dried on his retirement papers before Cora - who also acts as an in-studio analyst for ESPN's "Baseball Tonight" - accepted a job as the general manager of the Criollos in his hometown in Puerto Rico's central mountains, 30 miles south of San Juan. The Criollos' former general manager was moving to a role with Liga de Beisbol Professional Roberto Clemente - the official name for Puerto Rico's winter baseball league - and team president Raul Rodriguez offered Cora the opportunity to move into the front office as the team's GM. Cora jumped at the chance and steered the Criollos to the league title as a rookie general manager. Now he's got his sights set on back-to-back crowns, something Caguas hasn't done in its storied 75-year history. "It's not the normal path, I know. ... But I know a lot about the team. I have the pulse about that clubhouse, probably better than anybody," Cora says while sitting in the Plexiglass-enclosed team officials' box on the stadium's second level as a game against los Gigantes de Carolina gets under way. "For me, it was an easy transition and they made it a lot easier, the players, because they understand friendship is friendship and business is business. They respect me in that sense. You've seen me around - I'm hands-on because I enjoy it. I still feel it." Mavericks rookie Shane Larkin wasn't very concerned after spraining his ankle on Saturday, and he's hopeful to play vs. the Magic on Monday. "It's just a sprain," Larkin said. "I'll come in and get treatment [Sunday] and hopefully will be good after that." Gal Mekel will step into the backup PG job if Larkin can't suit up, and both rookies face an impending challenge with Devin Harris (toe) targeting a return within the next two weeks.